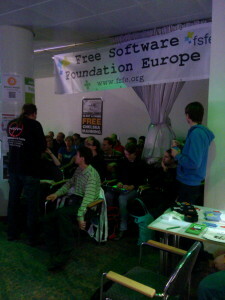 This year, the assembly of the Free Software Foundation Europe will be integral part of the Cluster Rights & Freedoms. 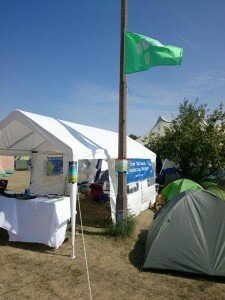 The cluster is formed together with our friends and other civil society organizations. 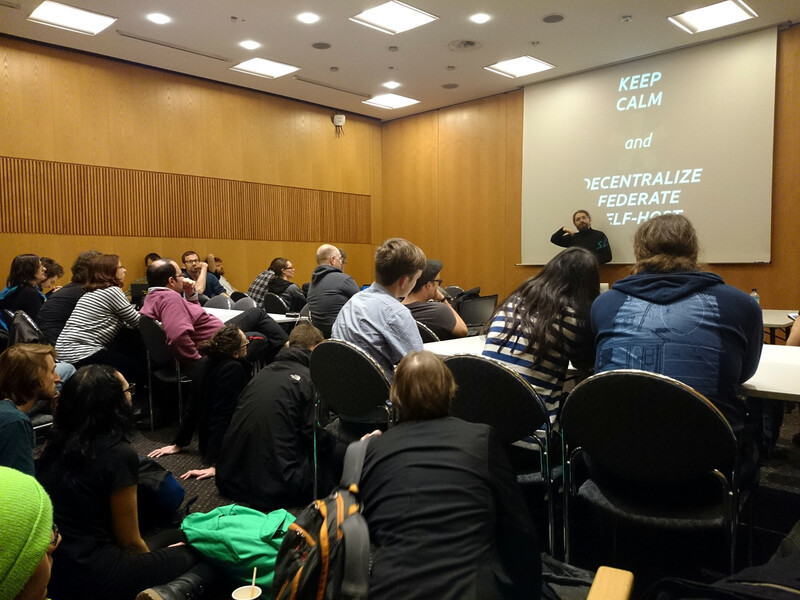 During 4 days the FSFE will offer a public space for and by our members, friends and supporters to discuss, meet, hack and organise. 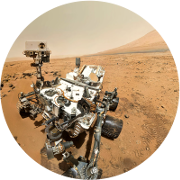 Find an overview of our sessions and other specialties in this blog post. 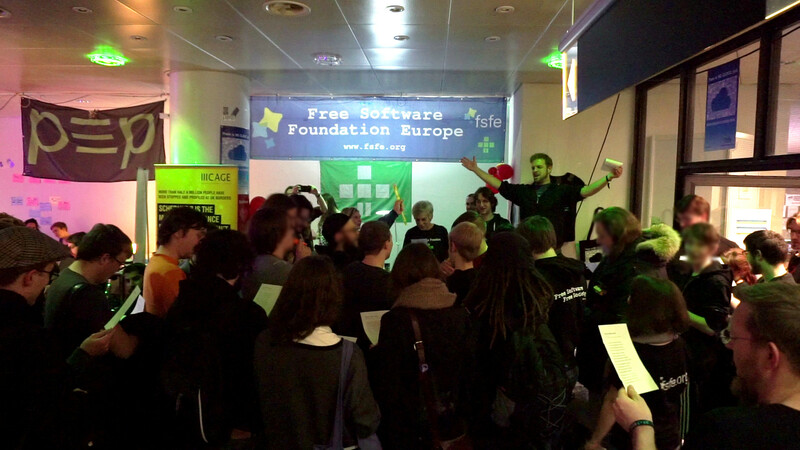 Always find the latest updates on our dedicated FSFE-assembly-page. Let’s put the hacking back into politics! Location of the FSFE Assembly during 34C3 in Saal3 in the CCL. The Congress Center Leipzig is huge! 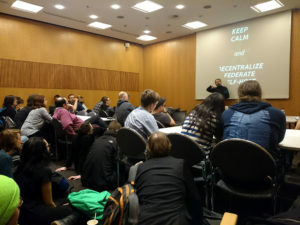 You will find our assembly in the Cluster Rights & Freedoms. 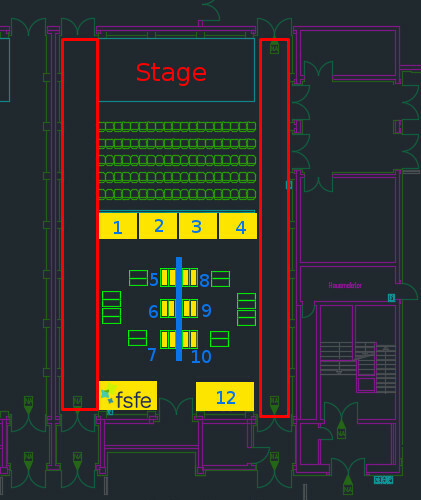 The cluster itself is filling Saal 3 / Hall 3, which is split half/half into the stage area and the assembly area. 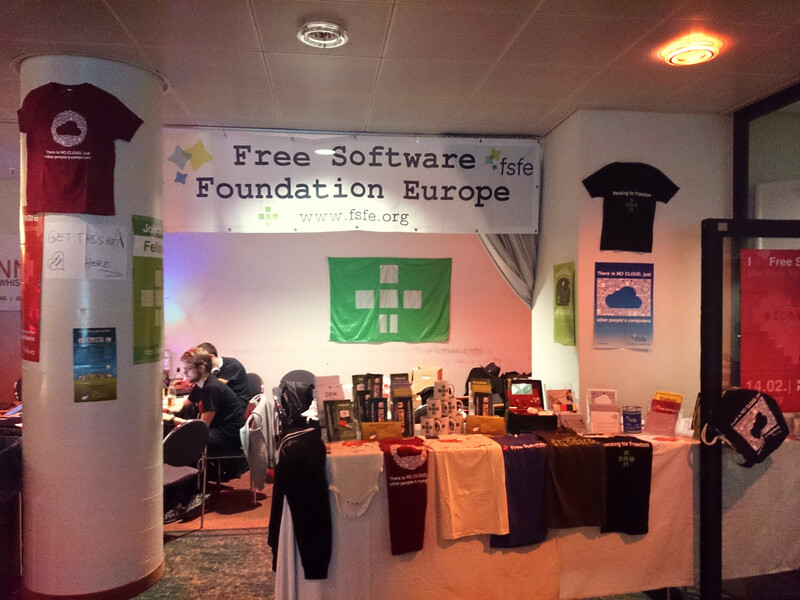 You find the FSFE assembly in the assembly area. 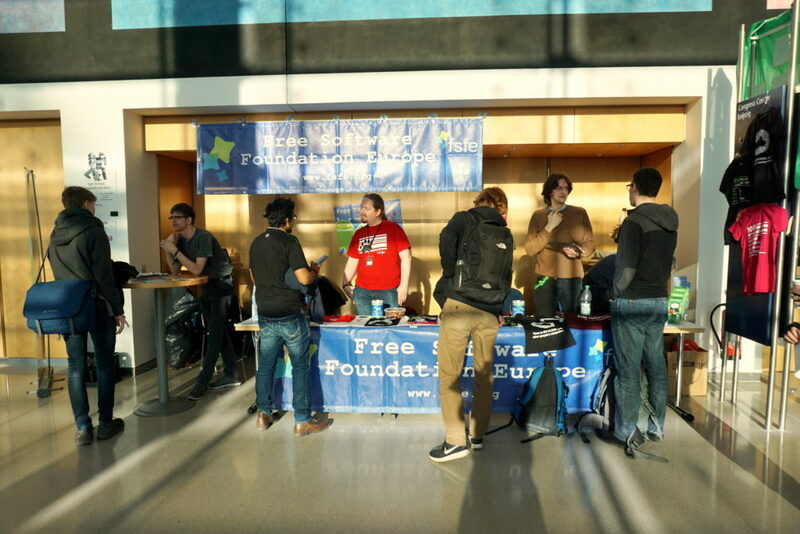 On the right side you see a supervision of the cluster with the stage on top and the fsfe-assembly on bottom-left. Saal 3 / Hall 3 is in the CCL-building, which is the “small” building on top-left in this graphic. In a side view, Saal 3 is on top right of the CCL-building. 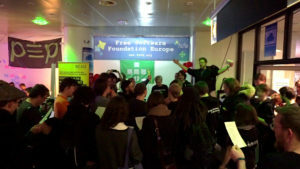 Please note that all sessions will happen on the stage in the Rights&Freedoms-Cluster in Saal 3 in the CCL-building (see above to find the location), except the Free Software song sing-along-sessions that will happen directly at the FSFE assembly and the workshops that happen in dedicated workshop-rooms. 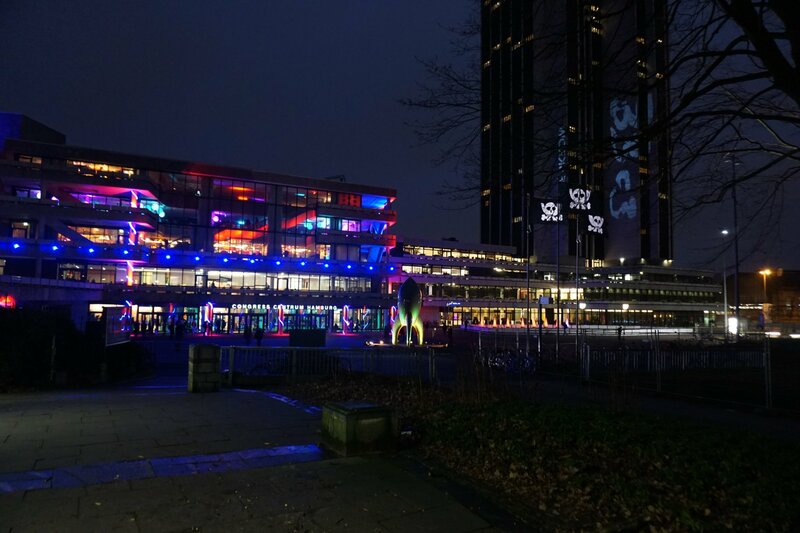 Do not forget to check the the 34C3-wiki page for details and the latest updates!